Marguerite Caine's physicist parents are known for their groundbreaking achievements. Their most astonishing invention, called the Firebird, allows users to jump into multiple universes--and promises to revolutionize science forever. But then Marguerite's father is murdered, and the killer--her parent's handsome, enigmatic assistant Paul-- escapes into another dimension before the law can touch him. Marguerite refuses to let the man who destroyed her family go free. So she races after Paul through different universes, always leaping into another version of herself. 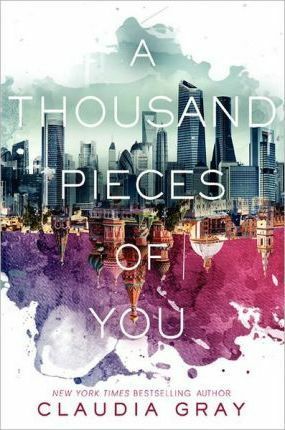 But she also meets alternate versions of the people she knows--including Paul, whose life entangles with hers in increasingly familiar ways. Before long she begins to question Paul's guilt--as well as her own heart. And soon she discovers the truth behind her father's death is far more sinister than she expected. Marguerite Caine grew up surrounded by cutting-edge scientific theories, thanks to her brilliant physicist parents. Yet nothing is more astounding than her mother's latest invention--a device called the Firebird, which allows people to leap into alternate dimensions. When Marguerite's father is murdered, all the evidence points to one person--Paul, her parents' enigmatic star student. Before the law can touch him, Paul escapes into another dimension, having committed what seems like the perfect crime. But he didn't count on Marguerite. She doesn't know if she can kill a man, but she's going to find out. As Marguerite races through these wildly different lives--a grand duchess in a Tsarist Russia, a club-hopping orphan in a futuristic London, a refugee from worldwide flooding on a station in the heart of the ocean--she is swept into an epic love affair as dangerous as it is irresistible. As a spirited romantic adventure, this novel is a delicious success. --Bulletin of the Center for Children's Books"